An exhibition collaboration between the Jewish Museum London and The Photographers’ Gallery. Presented simultaneously at Jewish Museum London and The Photographers’ Gallery, Roman Vishniac Rediscovered is the first UK retrospective of Russian born American photographer, Roman Vishniac (1897–1990). Drawn from the Roman Vishniac Collection at the International Center of Photography, New York and curated by Maya Benton in collaboration with The Photographers’ Gallery curator, Anna Dannemann and Jewish Museum London curator, Morgan Wadsworth-Boyle, each venue will provide additional contextual material to illuminate the works on display and bring the artist, his works and significance to the attention of UK audiences. 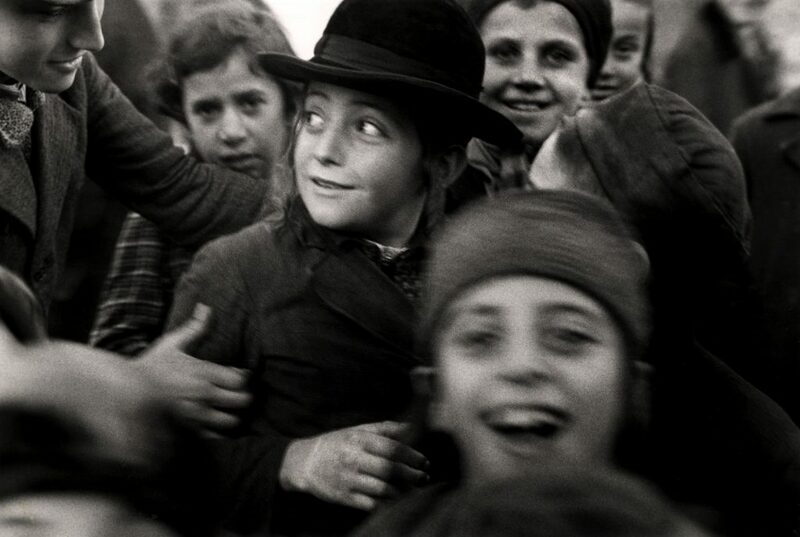 Roman Vishniac Rediscovered is organised by the International Center of Photography. It is made possible with support from Mara Vishniac Kohn, whose generosity founded the Roman Vishniac Collection at ICP, and from the Andrew and Marina Lewin Family Foundation, Estanne and Martin Fawer, The David Berg Foundation, Righteous Persons Foundation, National Endowment for the Arts, Olitsky Family Foundation, the ICP Exhibitions Committee. James and Merryl Tisch, Koret Foundation, and additional anonymous donors. The Jewish Museum London tells the story of the history and heritage of Jews in Britain through universal themes of migration, family, faith and culture. The International Center of Photography (ICP) is the world’s leading institution dedicated to photography and visual culture. Cornell Capa founded ICP in 1974 to preserve the legacy of “concerned photography”—the creation of socially and politically-minded images that have the potential to educate and change the world— and the center’s mission endures today, even as the photographic medium and imagemaking practices have evolved. Through its exhibitions, school, public programs, and community outreach, ICP offers an open forum for dialogue about the role that photographs, videos, and new media play in our society. To date, it has presented more than 700 exhibitions and offered thousands of classes at every level. ICP brings together photographers, artists, students, and scholars to create and interpret the realm of the image. Here, members of this unique community are encouraged to explore photography and visual culture as mediums of empowerment and as catalysts for wide-reaching social change. Visit icp.org to learn more.